In 2001, I got a real estate license. It was the height of the market and business was booming. Everyone and their grandmother’s cat was jumping into the business and if you listened to the media, you didn’t even have to get out of bed, as agents were making money hand over fist. Of course, those of us in the business knew it took hard, consistent work to bring about the meeting of the minds, and that finding a ready, willing and able customer/client was as easy as pulling teeth without anesthesia. Point is there were all calibers of sales agents; some knew plenty and some knew nothing. To stay in the business, you took classes to be better, you bought software to work smarter, and you networked and schmoozed till your eyeballs were spinning in your head. Yes, we made money but by the time you got paid, it was a roller coaster ride. We loved it and got to see and be in some amazing homes and some dumps. But, you know, home is where the heart is. This week’s prompt is: Describe your dream home ... house, location, and grounds. As I thought about this week’s prompt, I realized that instead of spending time describing my dream home, it would be best to showcase amazing homes that have qualities I would love in my ultimate home. The homes I feature would essentially offer a mental collage of features that my dream home would have and, of course, there must be water nearby; ideally ocean water. I love the ocean. Enjoy the visit and share your thoughts. Going back to the booming real estate days, one of the first things we had to do in my Sweat Hogs (intensive course for agents) class was to create a photo collage of the homes we wanted to own and or sell. It was a powerful exercise because, as anyone who has ever tried visualization would know, the more we visualize our success, the closer we get to it… hard work included. We had to carry our collage to class and, lo and behold, over a period of time, we got to list and sell homes that matched or came close to looking like the ones on our list… no kidding. So I don't intend to take this Dream Home exercise lightly. Has this happened to you? Built in 2006 in Mexico City by Arquitectura Orgánica, this home creates harmony by integrating the design in an organic way into the natural landscape. 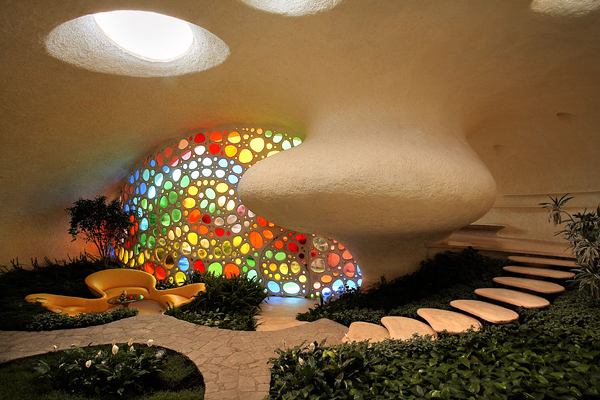 The goal was to create the warmth and feel of the internal habitat of a snail; the owners could move seamlessly like a mollusk does; moving from room to precious room. This home, also built in Mexico in Isla Mujeres, is in the form of a sea shell. This home was built with a mixture of recycled, found, and traditional materials. Again respecting the management and use of materials to create a fantasy home that enhances the natural landscape around it… such a beauty. 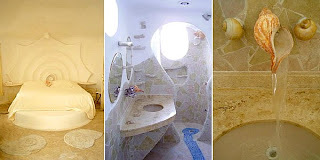 The owner of the house is Octavio Ocampo, a famous all around artist. 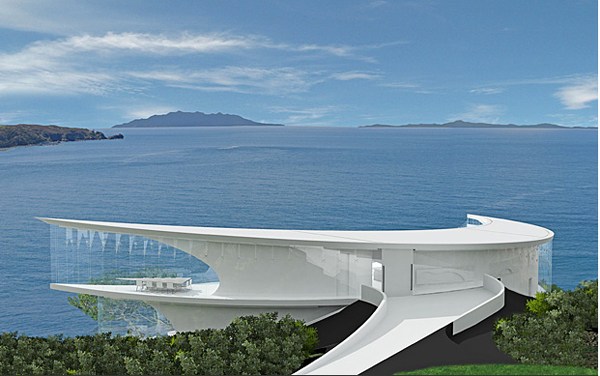 This modern “Bondesque” home, The Mahina house ( Maori for Moon), is still in the works and truly a dream home. Warrick Weber of Weber Consulting planned this 827 square feet mirage for Kawau Island about 60km north of Auckland, New Zealand. 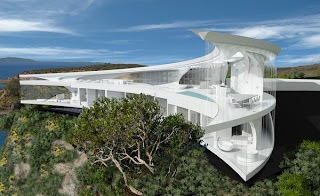 The home would have floor to ceiling windows, an all white interior, deck, swimming pool, plant room and “thermal mass” to regulate the temperature inside the home. Kawau is home to 450 properties and 70 residents, who get around by boat. There are no street lights and limited phone services. For that getaway home from the chaos of life, this 'fabulosity' of a home would do. No? 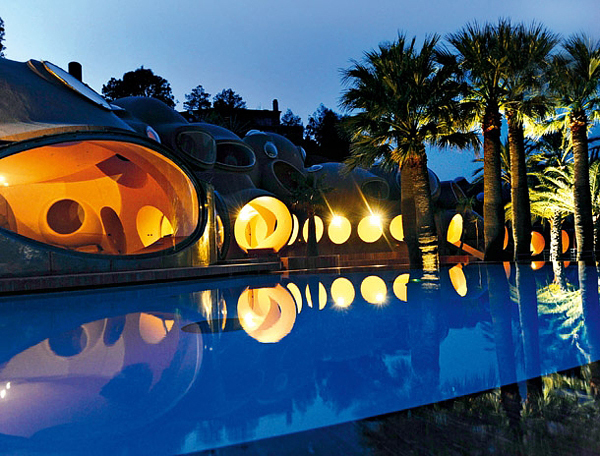 This uniquely designed modern villa belongs to fashion designer Pierre Cardin and was built in 1989. It is located 10km from Cannes in France and was originally meant for a wealthy industrialist who died before its completion. 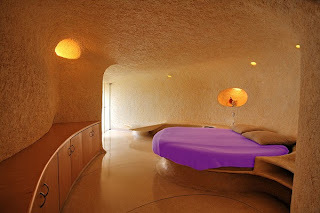 I love the rich colors and warmth that this bubble home radiates. Pierre spent another $50 million francs and collaborated with the architect, Lovag, to make this 1200 square meter home the dream it is… The home has an amphitheater with 500 seats, a garden with various water pools, and an Oak grove. 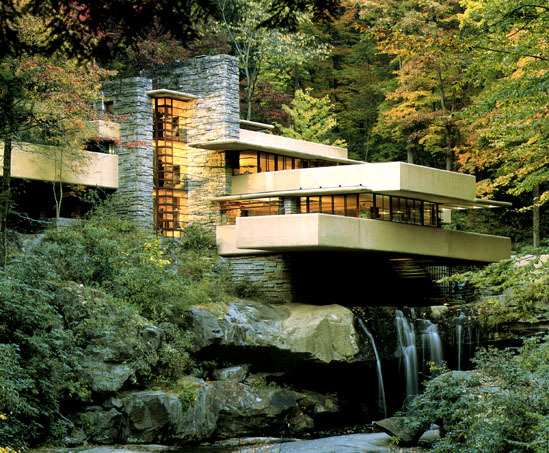 Falling Water truly represents form meeting function. For as much as this home is aesthetically appealing, it also functions effectively as a place of residence; truly a work of art. Dramatic bracket shaped beams support the terraces creating strong horizontal and unbroken vertical lines. The home features 3 stories of floor-to-ceiling windows and stone columns over 10 meters tall. The interior space shifts fluidly, taking advantage of the outside blending with the interior layout. The soothing sound of flowing water adds another relaxing element to this beautiful home. What are your thoughts? What would your dream home look like? Is there an amazing home that you’d like to share with me that fit your dream? If you had to pick a place in the world for your home, where would that be? Do share. Thank you! Hi Elizabeth, yet an other great post. I think the dream home you have is a bit too sufisticated for me. But I can tell you I do live in a home now at a canal where we have 1000+ boat passing by every summer. I visualized us living here and now we do. You know how it looks like.You do have some idea. I can sent you an image of the home/house. Do you remember the post we did together, we had some pictures on the blogs. And also when you interview me at the beginning of your interview series you had a nice picture of this canal in front of our home. When our kids were small, from baby on until a new highway opened; we used to drive through these small places following this canal to go visit my sister in law who lives in Germany and I always told my husband that it would be nice to live in one of these places/ small villages on that route. For me it represented vacation. Living here makes me feel like I'm on vacation all the time. I'm sure you too will. Keep visualizing yourself living in your dream home and you will if you take the necesarry actions to get there. In 3 years from now, we plan to be living on a Paradise Island in the Caribbean, I hope with a view of the ocean. I'll invite you to visit us there. What do you think? Would you come and visit me? Maybe before that we can see each other some other place in the world in real life. Wow. Reading your comment makes me visualize how you live comfortably in a paradise just exactly where I want to be but ----- may not happen anytime soon. Interesting that these seem to all be on waterfronts. Any reason? Nice views, I suppose. These houses are really unique and interesting-looking; do people actually live in them?! I look forward to visiting your beautiful part of the Netherlands... I love anything near water as I find it healing. You are blessed by your location and the Caribbean move will also be amazing. We will meet for sure! It's important to never give up your dreams! I really enjoyed your post, Elizabeth! Thanks, too, for stopping by mine. Let's go out and get those great things we are visualizing for ourselves! 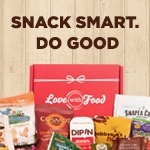 Thank you for participating in last week’s Follow Us Monday Morning! I hope you will stop by and participate in this week’s Follow Us Monday Morning @ Frugality Is Free, the new linky will open up at 10 p.m. EST. Wow those are gorgeous! 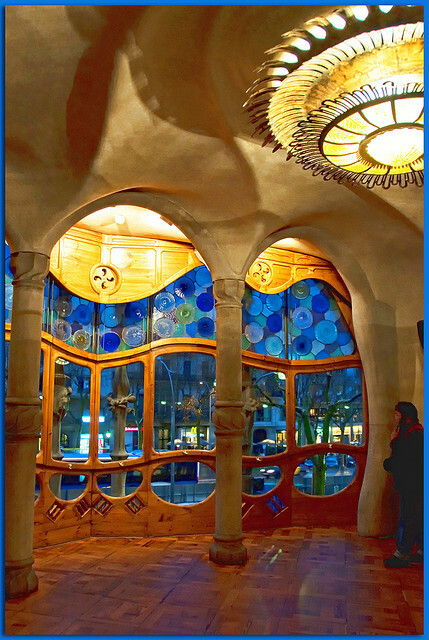 I would love to have stained glass in my home. Falling Water will always be my ultimate dream home, thanks so much for including it in this post! 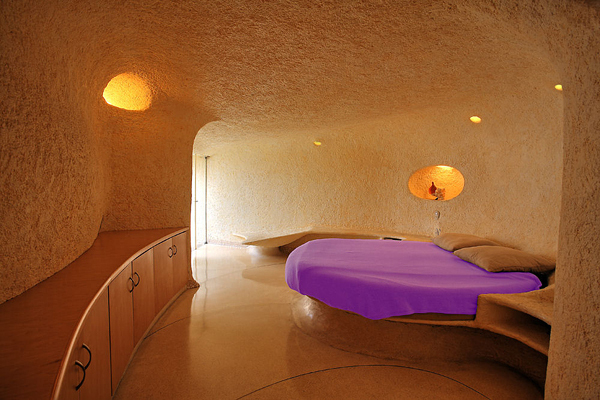 These are indeed unique homes but I don't see myself living in one. I want a farm house with a beautiful garden full of flower blooms, vegetables and some animals. I want to have one so when retirement year comes, we can live there and our children can visit us and bring along their own families. I would love to watch my grandchildren running and playing around. Really lovely looking homes... Home is what one makes out of it.. 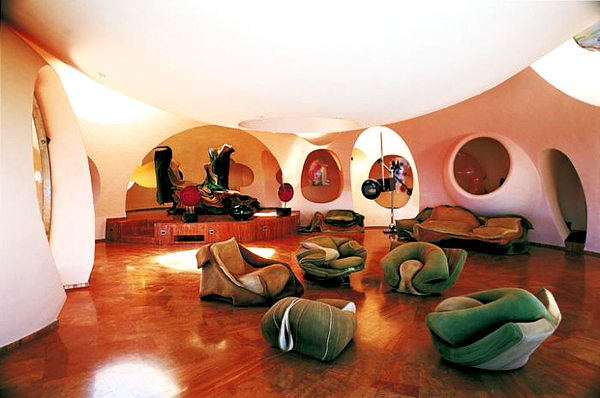 I love Pierre Cardin's villa.. It's so beautiful for me.. I love the Palis Bulles. Love these homes. They are beautiful. Beautiful homes! It would be nice to come back everyday to one such after work . 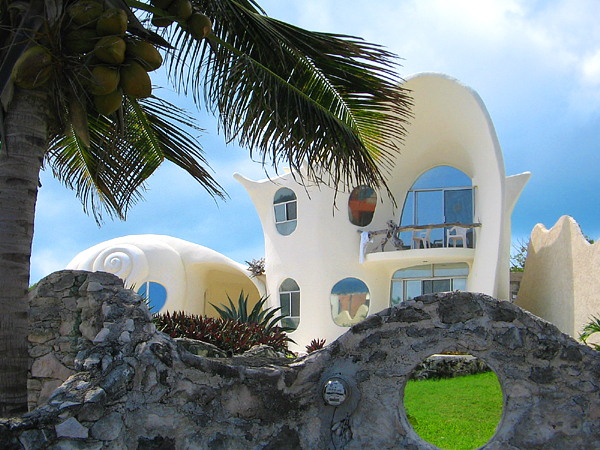 Especially likeThe Conch Shell Home cause it's beach facing! Lovely post. I love all the exciting and potassium-filled adjectives,lol. 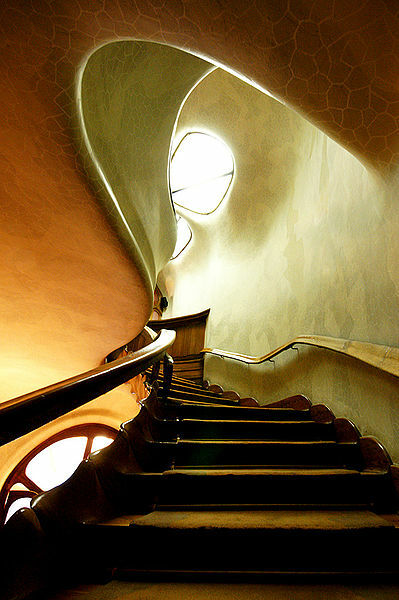 I enjoyed viewing all the images of houses- all are works of art! I want the The Mahina Dream Home and Falling Water Home--splendid houses! 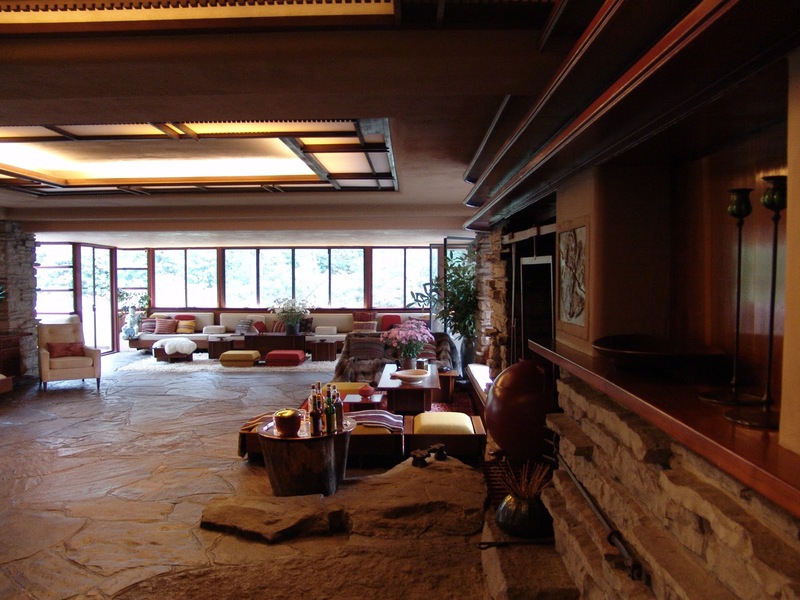 Frank Lloyd Wright's designs are my favourite. He always emphasizes on straight lines and 90degree angle designs, let classic contemporary and timeless. His designs are always appealing. They're all drool-worthy! I have two dream homes: one is a city-home and the other one would be a retirement home by the beach - that's if I don't end up to become a perpetual traveler. It's good to have your own place and I think we all have to set aside something for this necessity. The photos presented are very beautiful but for me, it's not so ideal. I would love to stay in those houses but not live there. It's just that it doesn't give you that kind of "home feels". These are really elegant homes. Just stepping near one would already be a dream to me. There are some really stunning homes here! I am not sure how my dream home would look, but it would have to be family friendly, have a huge basement and yard and maybe a pool! Really amazing houses! They are dream houses indeed and I guess they will remain only as dreams though I'm not closing my doors to have them after all great things start from small beginnings. However, my reality is - my house is still on the process of furnishing. There's nothing fancy about this house, just the typical house you see here and everywhere in the countryside of the Philippines. But still I'm proud of it because little by little, the things I have envisioned for this house as a little child as slowly been turned to reality. It is still way far from completion and I have yet to work harder away from home so when I get home soon, I'll be able to see it complete. To me, home is where the heart is. I can be living in a glamourous or dreamy beautiful house, but if I'm alone, without my loved one, that is all but nothing! Of these, i have only been to Barcelona where Gaudi is a god. His sense of style is really so distinct and bizarre. We were able to see the Sagrada Familia church and the Gaudi Mansion. 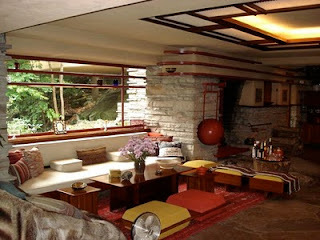 I like the Falling Water Home so much! Wow. 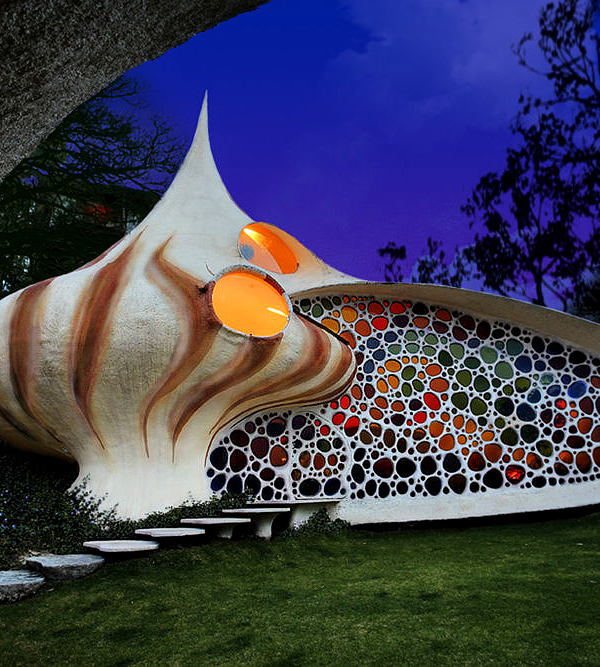 The shell house is my favorite. They say your home is where your heart, so my dream home is where my love is. It has to be a house with a garden full of hydrangea. It doesn't have to be fancy, just cozy, and full of happiness and the laughter of my kids. That's all. Simple but joyful. OMG! My jaw literally dropped! Such beautiful houses. I hope I can live in that kind of house in the future too. Hahahah! omg that looks like paradise to me - I want to be able to live in that kind of place too.